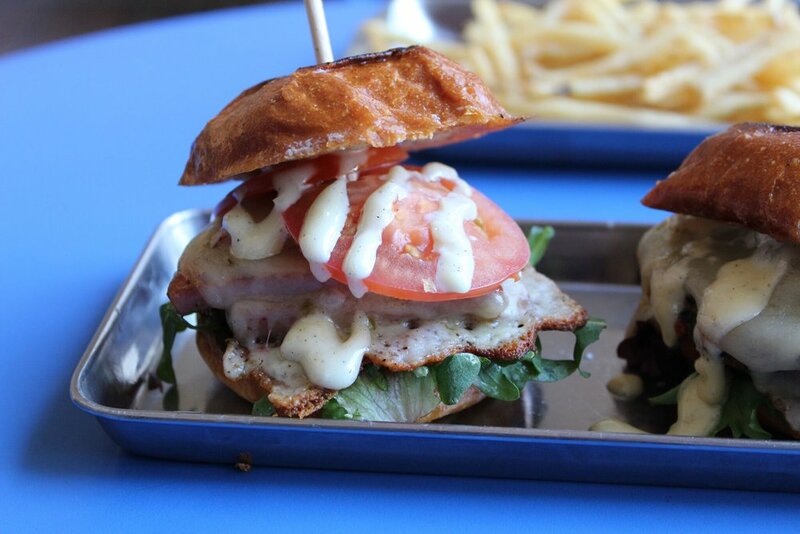 Hatch brings gourmet sliders, craft beer and Tiki cocktails to Union Market Tustin at the District. We have restauranteur Leonard Chan to thank for that. If you love The Iron Press and The Blind Rabbit, then you are sure to love this new hang out spot. 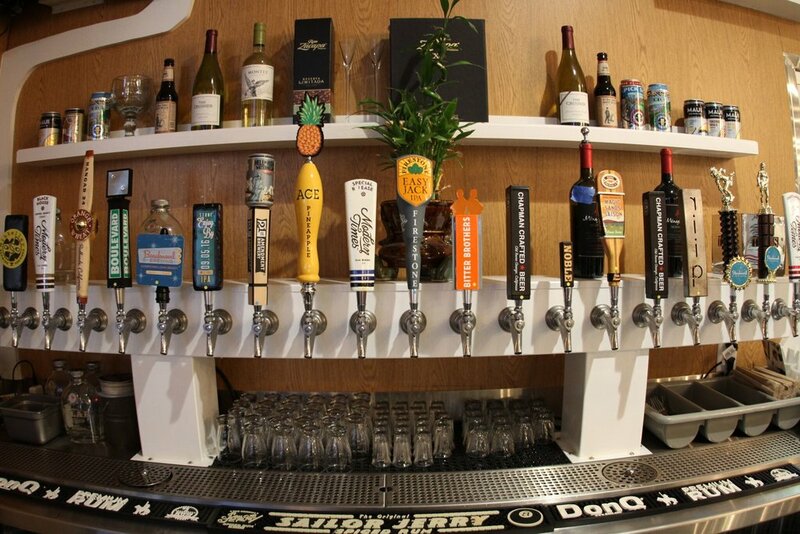 Enjoy a cold brew on the patio and people watch or dine inside and and check out the ultra mod design and wall decals by renowned artist, SHAG. Hatch works closely with local vendors to source all of their ingredients to ensure they are the freshest and best of the best. 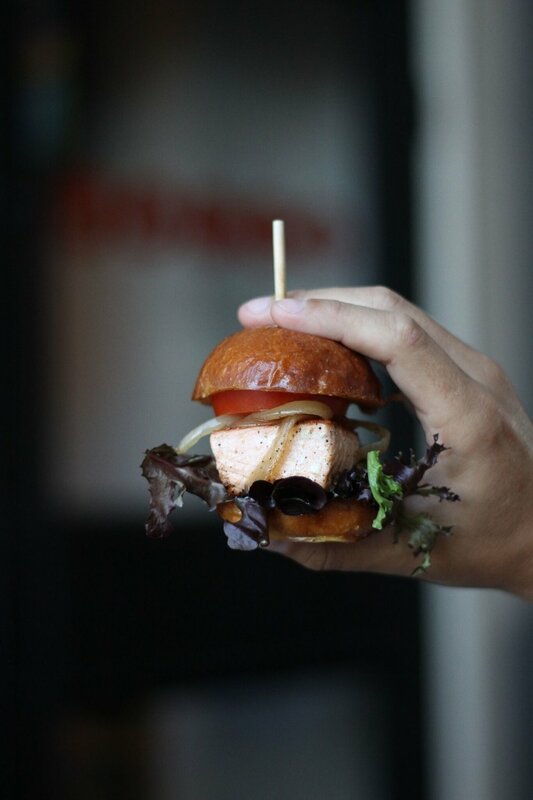 Chef Andrew Singh is the creative in the kitchen, concocting delicious sliders. Guests have the option of choosing a selection of sliders organized by protein, or selecting one of the options from the menu. Pair your sliders with an ice cold craft beer or a refreshing Tiki cocktail. Lama Nui: Lama is Hawaiian for Rum. Nui, Hawaiian for Coconut. 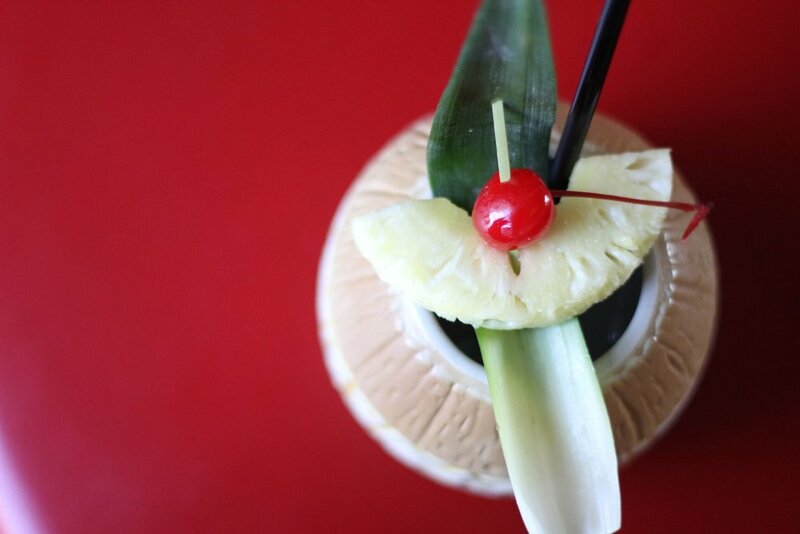 Flor de Caña 4 meets Coconut in this tasty Tiki classic. Garnished with fresh pineapple. Drink Up! Magellan's Mistake (For Two): This cocktail is for sharing, featuring Don Q Amber, Caña Brava White, and El Dorado 151 proof along with three different fresh fruit juices. 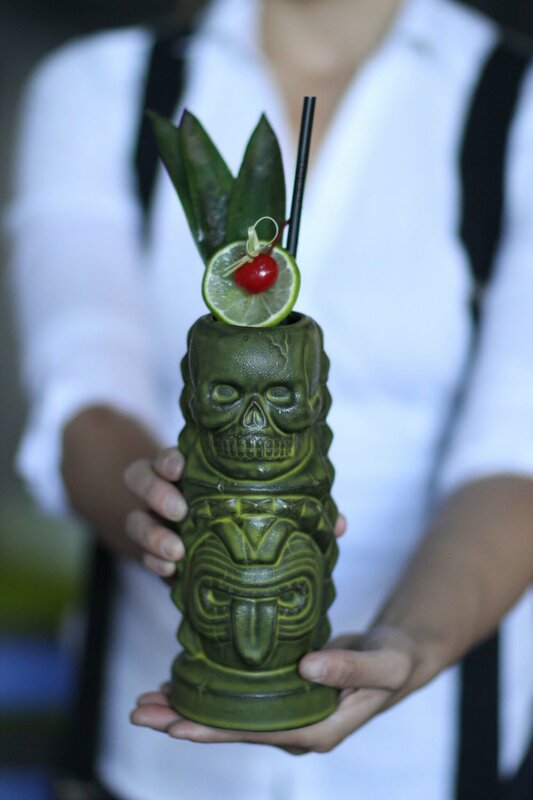 In honor of Explorer Ferdinand Magellan's demise in the Philippines, this drink comes lit with a flame in his memory. Build Your Own Daiquri (BYOD): We encourage your creative side. A refreshing and tropical recommendation would include Malahat Rum, mango, pineapple, and coconut, along with fresh squeezed lime juice, and housemade simple syrup. In addition to their varietal slider and tiki offerings, Hatch now offers Brunch Service! The brunch menu is available daily from 11:00 a.m. - 2:00 p.m., featuring bottomless mai-mosa's (made with fresh strawberries and a mai tai twist), breakfast sliders, and more! Sunday - Thursday, 11:00 a.m. - 10:00 p.m.
Friday - Saturday, 11:00 a.m. - 11:00 p.m.
Monday - Friday, 3:00 p.m. - 6:00 p.m.
Bobby Navarro at 100inc Agency - Events and Promotions.